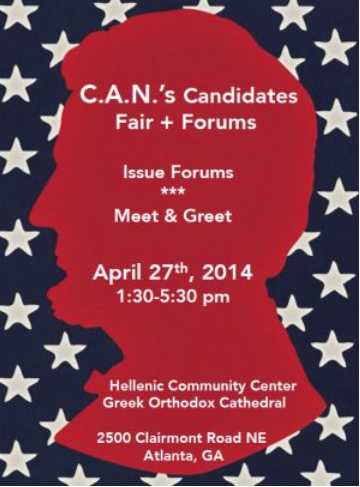 The Civic Association Network (CAN) Candidates Fair + Forums is this Sunday (April 27), 1:30-5:30pm, at the Thalia N. Carlos Hellenic Community Center, 2500 Clairmont Rd, Atlanta 30329. 1:45pm. COUNTY GOVERNANCE, featuring current and former commissioners, moderated by Commissioner Kathie Gannon. 3:00pm. THE FUTURE OF CITYHOOD IN DEKALB, featuring local speakers, some who think cityhood is essential, others who are not so sure.